First match of the 5th week of Serie A football is a Friday night encounter between in-form Sassuolo and minnows Empoli. Sassuolo got off to a bang in their Serie A campaign. A win against Inter, a great comeback draw against Cagliari and a goleada against Genoa. Their last encounter was a 2-1 loss away to Juventus. They were never expected to win this one but they held on for rather long. Empoli on the other hand showed their true colours by losing concentrating in almost all games they have played until now. They’ve lost points on clear complacency. The last 5 between these two at the Mapei stadium haven’t been much success for Empoli. 3 Sassuolo wins and only 1 for Empoli. One draw game back in 2013. This match typically produces many goals with both sides believing they can win this one at any point in time. The average amount of goals per game was a whopping 3.8. The last 3 went Sassuolo’s way by a margin of 2 goals per game. Sassuolo look the stronger side and they seem to score freely at home. They are currently the 2nd best scorers on their home turf. They will win this one. Parma had a magic win (their first) against Inter last Saturday. It was their first win for the season and the 1-0 win was sealed with an absolute screamer from DiMarco. Parma needed this win to boost their confidence. They had 1 draw and 2 losses prior to this game so the win was a breather. Cagliari on their part had an encouraging 1-1 draw at home to Milan. They were up 1-0 but couldn’t hold on to their lead and finally succumbed to a stronger Milan side. They held 1-1 but they were the better side. Consistency is a problem for both teams. They are at times unable to keep a rhythm going on the attacking end and this leads to low scoring games. Cagliari have trouble scoring. Parma have trouble finishing their chances. The last 5 matches between the two at the Tardini were 3 wins for Parma and 2 draws. The games varied on scoring. We can’t decide which team is the stronger side and a correct score prediction is off the cards here. What a start to the season both of these teams are having! In fact, this is SPAL’s best start to any Serie A campaign they ever had since 1950. True, they’ve only been in the Serie A for a handful of seasons but still – it’s been a great start. SPAL’s last game against Atalanta really showed they are able to close out games in front of goal. They ran faster, controlled possession and took their chances upfront. They currently sit on 9 points after 4 games and that is a lot more than they hoped for. Fiorentina are also off with a bang. Their mid week catch up game against Sampdoria (1-1) and their 1-0 away loss to Napoli are dampers but the Viola have a great squad. They have energy, they score freely and they display an attractive style of football that is a pleasure to watch. Only one encounter between these two in Florence and that ended in a goalless draw. This one will be different. Actually, it will be full of goals. Upfront, Fiorentina will be able to field their strongest attack with Chiesa, Simeone and Pjaca. Both teams had mid week fixtures. The size and importance was not the same though. Sampdoria were catching up on their 1st matchday encounter against Fiorentina. That ended 1-1 and was an ok result considering Sampdoria are not built for mid-week football. More importantly, Inter had a super comeback win against Tottenham. They managed to turn around a 1-0 into a last minute 2-1 result with the San Siro erupting. It kind of felt like 2010 again (the glory days) and all Inter’s Serie A troubles seemed to be put aside. Unfortunately for Inter, Serie A is back just 3 days later and they need to get their act in order as soon as possible. This tough away fixture to Sampdoria means they need to regroup on energy and concentration. The Stadio Luigi Ferraris has not been kind to Sampdoria against Inter. Inter had their best match here last season when they notched a 5-0 result. 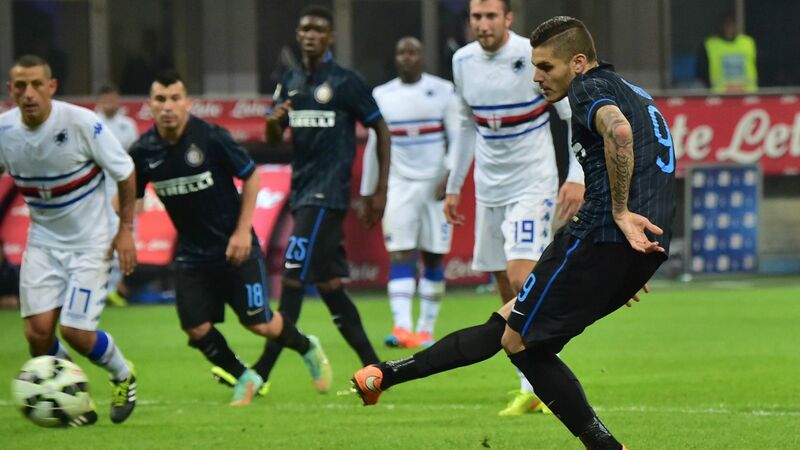 Icardi went crazy that day and seeing that his confidence is back, look out for him to score again. Other than the 5-0 and a 4-0 some time back, this encounter is usually a low scoring affair. This is a tricky match for Inter. 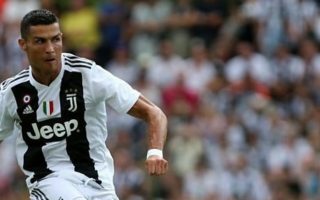 They may either be the best we’ve seen them coming off the Tottenham win or they could be completely distracted from the win and also thinking ahead for their next game at home against Fiorentina mid-week next week. Match up of the week in Serie A will be played at the Stadio Olimpico di Torino between Torino and Napoli. This is an interesting match up as Torino have a lot of potential but are unable to exploit it. Meanwhile Napoli know they are the second strongest side in Serie A but have to maintain it and it is proving tough. Torino had a drab draw 1-1 away to Udinese last weekend. They came back from 1-0 down and they have been like this for months now. Unable to hold on to consistent play and end up going behind. Sometimes they make the comeback, other times they lose 1-0. They have some brilliant flashes during each game and they also have dreadful mishaps on the defensive end. In reality, they are exciting to watch. Napoli travelled to Serbia mid-week and only came home with a 0-0 to Red Star Belgrade. We honestly expected more out of them considering their squad is a lot better and Red Star and their opponents are the weakest team in the group. It will only get tougher from here on for them. This fixture is tricky to call right now but the history tells a different story. It’s a midday fixture so it will be a different routine from the outset. Napoli had a mid week away game, that’s something else. For Torino Ansaldi and Iago Falque won’t make the game through injury. Napoli are favoured in this match up consistently. Winning 4 of the last 5 scoring 2 or more goals in the last 3. The games are heated and hard fought. Chievo have had an abysmal start to the Serie A and they lie in dead last place still trying to convert their negative poinst to positive. Udinese have had a mixed start and are 10th with 5 points. Their latest results were a great 2-2 comeback for Chievo whilst Udinese let a 1-0 lead slip against Torino and also drew. Djordjevic will be missing from this one for Chievo and Ingelsson will not make it for Udinese. Otherwise it is business as usual. The last 5 games between these two at the Bentegodi were 3 draws and a win a piece. All mostly 3 goals and under. The home team had a good Thursday win in Europa League against Apollon (Cyprus). The 2-1 result boosts the much needed confidence of a Lazio team that deserves to be fighting for 4th place. The Europa League Thursday and Serie A Sunday matches are not easy. Simone Inzaghi did not have to play a full team and managed to rest some players for at least one half of the match. Genoa have had a decent start to this season. They are on 6 points and have a game in hand (1st Matchday dnp against Milan). Lazio are on the same points but have played all 4 games. Both teams are perfectly capable of scoring. Lazio at home are stronger than Genoa away so this is where we are heading. The last 5 between these two at the Olimpico in Rome have been as follows: Genoa win, 3 Lazio wins and a Genoa win. Genoa like to play in this stadium. Lots of goals though and lots of corners too. Roma are the Kings of letting themselves down. Their 2-0 start against Chievo on Sunday deteriorated into a 2-2 draw. This set the tone for their 3-0 drabbing at the hands of Real Madrid later on Wednesday. Instead of going in confident, they were deflated, de-energised and disorganised. Real cut through them and made them pay for it. Three absolutely stunning goals left Roma travelling back home in misery. Roma have until now been very disappointing in the Serie A. They are coming off two draws and a loss and this leaves them hanging in 9th place with 5 points. This game is a must win for them otherwise it becomes a catch up game all along the way. Bologna have been a nightmare to watch. They have yet to score a single goal this season and Inzaghi’s position might also be in danger if they lose this one too. They are terrible and can’t seem to get any sort of rhythm going. The last 5 head to head between these two at the Dall’Ara have been 3 draw games with 2 in between wins from Roma. Roma will win this match and their frustrations will be redeemed. Poor Bologna they will have to bear the brunt. Marginal win for Milan in their Luxembourg trip yesterday. They struggled to finish and they were made to suffer until the final whistle. Nevertheless, they pulled off a 1-0 win to take all 3 points. The good thing is that Higuain seems to have hit his rhythm with 2 goals in the last two games. Now that he has tasted consistency he will be lethal. Expect him to be amongst the top scorers this season as he is the focal point on their offensive end. Milan had a disappointing 1-1 draw away to Cagliari in their last Serie A match. They came back from 1-0 down but never threatened to win. On the other hand Atalanta suffered a loss at the hands of SPAL (after their Europa League exit). They have now had a week to regroup and prepare for this match. 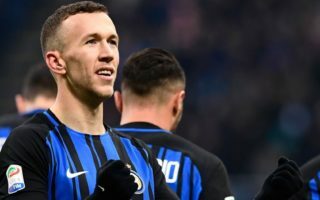 The last 5 h2h between these two teams at the San Siro have been a win for Atalanta, 2 goalless draws, a win for Atalanta and a 3-0 win for Milan. This one is not easy to call but one thing is for sure. Atalanta are not scared of the San Siro. Both teams are on 4 points but Milan have a game in hand (vs Genoa dnp on Matchday 1). Milan absolutely have to win this game to keep up the pace with the front runners. Their only objective this season is to make the top 4 and get back into Champions League. Juventus are on a high right now. 4 wins out of 4 in the Serie A and a winning start in the Champions league against Valencia (with Ronaldo red carded after 20 minutes). 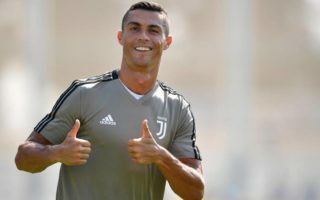 Cristiano Ronaldo got 2 goals last weekend against Sassuolo and this means that he has his confidence back. His red card against Valencia must have dealt a huge blow to his ego as it will definitely mean a 2 game suspension for him in the top European cup. The fact that he did not play a full game might mean Mandzukic will get some rest in this one and Ronaldo will play. Juventus will be without Douglas Costa after his outrageous actions at the end of the Sassuolo game. He is suspended for the next 4 games and has received a hefty fine from the Bianconeri. 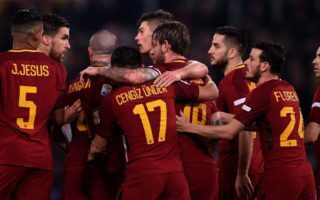 The away side are expected to experiment a little with their formation seeing that Serie A will also have a mid-week fixture this week. Frosinone are in trouble. They are in penultimate position in the league standings and more worryingly they have not yet managed to score. The chances of them changing that this weekend are bleak. They look destined for the Serie B and it is just a matter of time for them (even though it is this early in the season). Last week against Sampdoria, they bagged 5 goals at home. The only thing saving them from another 5 on Sunday is 3 matches in 10 days for Juventus. They will get a rotation formation in their opponents which may save them from embarrassment yet again. Only two previous encounters at the Stadio Matusa and they both went 2-0 for Juventus. This will be no different.